The federalization of Syria threatens the country’s security and constitutes a breach of international law, Syrian Ambassador to Russia Riyad Haddad said Thursday. MOSCOW (Sputnik) — Earlier in the day, Syrian Kurds, one of the largest ethnic groups in the country, declared a federal region in northern Syria. The Syrian government responded by saying that the Kurds’ unilateral decision had no legal power. "When one speaks of the federalization of our country, this directly threatens the integrity of our country, runs counter to the Constitution, contradicts the national concepts, even is at variance with the international resolutions and decisions, so all statements of the kind are illegitimate," Haddad stated at a lecture in Moscow. The vast majority of Kurds do not agree with the proposed federalization in Northern Syria, he added. 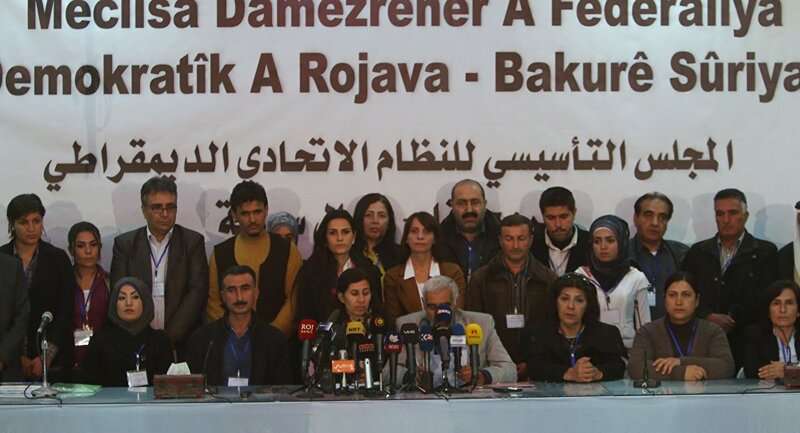 The decision to establish the so-called Democratic System of Rojava and Northern Syria in three Kurdish regions on the Turkish border was made at a conference in the city of Rmeilan, in the Hasaka province. The announcement came against the backdrop of a new round of intra-Syrian talks in Geneva and strong opposition among all stakeholders to the division and the breakdown of Syrian territorial integrity. The Syrian Kurds were not invited to take part in the talks aimed at finding a political solution to the Syrian civil war.